Recently we were invited by Bike Beijing to join them on one of their tours. 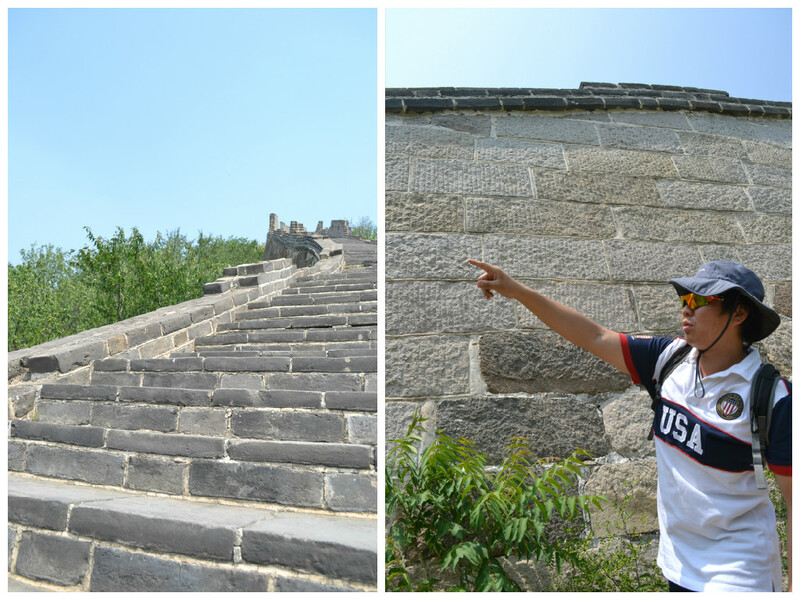 Unfortunately, Miguel couldn’t come along, so I went on my own to discover a new part of the Great Wall. 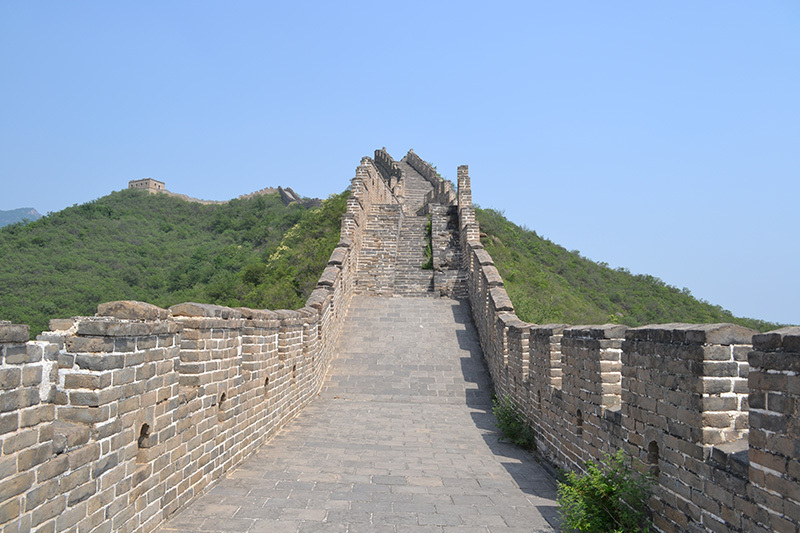 I’ve been to the Great Wall multiple times, but to me that doesn’t matter: every time I visit the wall my breath is taken away by this impressive structure. 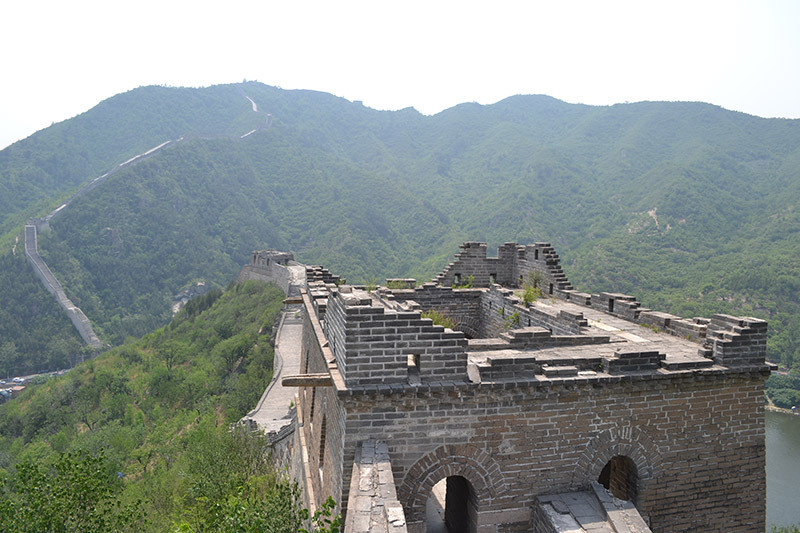 This time I went to the HuangHuaCheng section of the Great Wall. Usually I don’t like waking up early, especially when it’s during the weekend, but that Sunday morning I was going to explore another part of the wall and I couldn’t wait to get up. The weather was great and it was going to be a lovely day. After I arrived at Bike Beijing, which is located in the city center, I met Hero, the guide for the day. 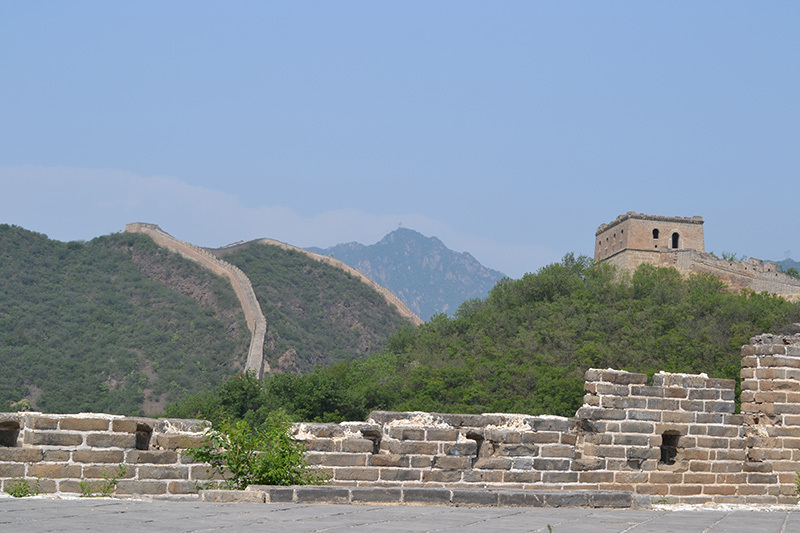 Together with 3 other people we started our 2.5 hours drive to the HuangHuaCheng Great Wall. While on the road the view changed slowly. In the city center there were the old buildings, a few hutongs here & there, but as we went the buildings changed to high, grey apartment buildings filling up some of the biggest apartment complexes in China. Once out of the city the scenery changed completely, I now only saw trees with the greenest leaves, a bright blue sky and the hills that lie around Beijing. About 15 kilometers before we arrived at the HuangHuaCheng Great Wall, the driver stopped at a small parking lot at the top of a hill. This is where we got out of the car and got ourselves ready to hop on the mountain bikes that were brought along. Looking at the road ahead of me, I started to feel a little anxious. For one reason there were quite a few cars out on the road, but mainly because I saw the bends that were going to take me downhill. Hero left me no chance to change my mind: “Come on, let’s go, it’ll be fun!” is what he excitedly shouted at me and the others after he instructed us on how to safely bike on the highway. Although I was a little nervous, I was also ready for some action after the long ride in the car. The biking turned out to be fantastic! The wind in my face, controlling my speed, the fresh air I could take in and the hills around me made me forget the risks I was taking by biking 30+ kilometers per hour on a highway. Hero also told us that life for the soldiers wasn’t easy. Living in the towers was tough, there wasn’t a lot of shelter from wind, rain or sun, and during the seasons it could get really hot or the soldiers would be fighting the cold and snow in winter. Besides, they always had to be alert to see if enemies were approaching. We’ve all heard and seen those parts of the wall that get really crowded during high season and holidays (Mutianyu, Badaling). These are the parts I try to avoid and which you should avoid too, if possible. There are so many other parts of the wall that aren’t overrun by tourists and where you will feel like you are the only one there. Bike Beijing takes you to these places! 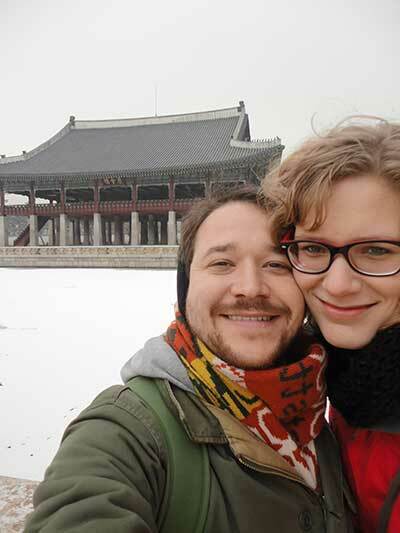 When we were there, there were only a few other people (around 10) on the wall. As we continued to hike further along the wall, there were no other people to be seen. I thought that was a great experience as I could really enjoy being there, looking around, taking in the stunning views. We were on the wall for a good two hours, hiking and climbing from one tower to the other. The path was steep, but easy to walk on as this was a part that had been restored. 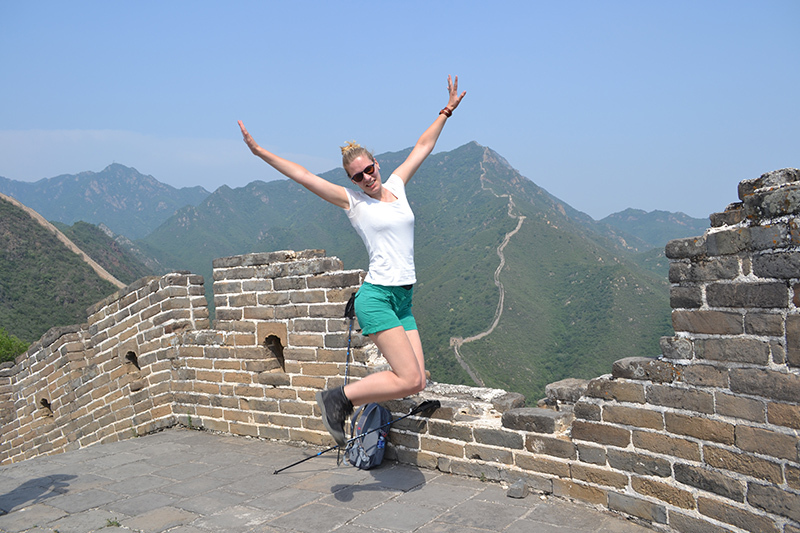 The trip to the HuangHuaCheng Great Wall took all day. We left around 8.30 am and arrived back at Bike Beijing around 6 pm. It was a long day, but time well spent and as I look back on a great day. This bike & hike tour was offered to us by Bike Beijing. Opinions and crazy ideas are, as always, our own.